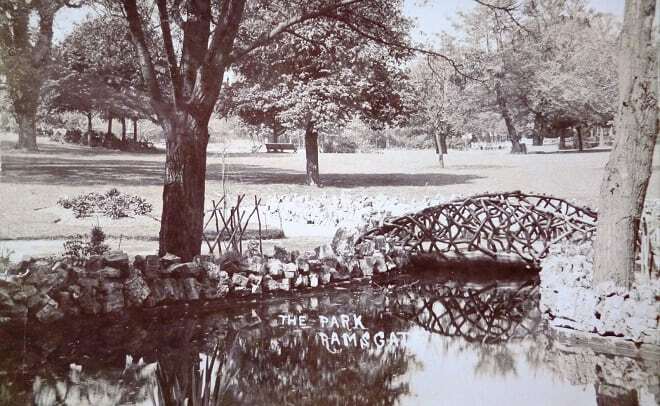 A £1.64million National Lottery award has been granted for regeneration at Ellington Park in Ramsgate. The cash makes up the lion’s share of the £1.8million investment to regenerate Ellington Park in Ramsgate through the creation of a new café, toilets and landscaping. 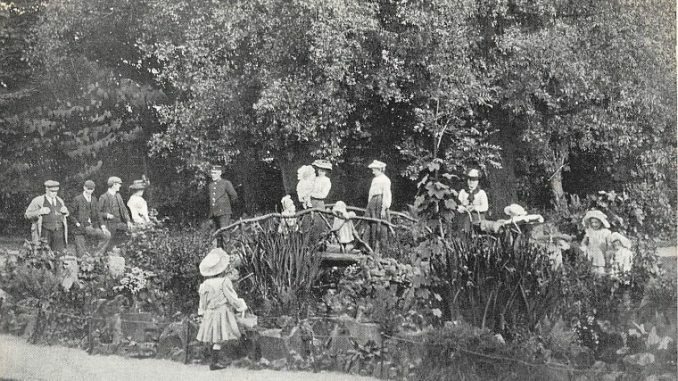 Thanet council and the Friends of Ellington Park have worked together to develop the bid for the funding from the Heritage Lottery Fund and Big Lottery Fund. The partnership achieved a £144k Development Grant in January 2017, and have been developing the plans, with the support of professional design team, the local community and project partners. After 18 months a Round 2 application was submitted resulting in the grant. Bev Perkins, Chair of the Friends of Ellington Park , said: “After so many years of hard work, and fantastic support from the people of Ramsgate, we are thrilled to know Ellington Park’s future is secured. 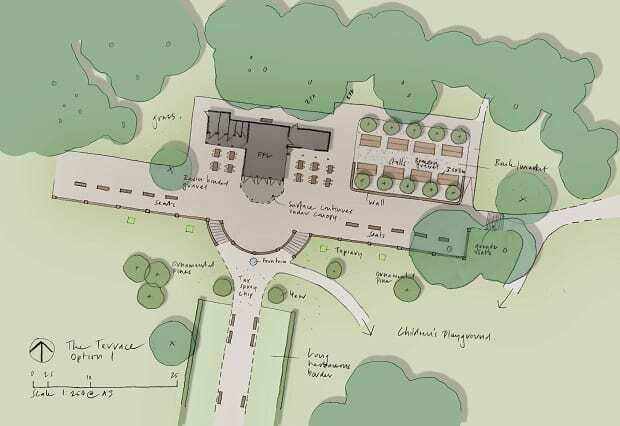 There will be a new community café and toilets, a restored bandstand, with landscape works to conserve the terrace and bring back Cheal’s landscape scheme. 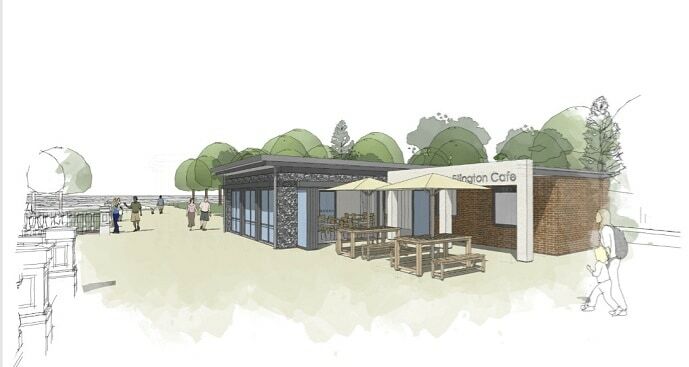 The new cafe business plan sets out how the café building will be run and managed as an environmentally friendly, healthy eating, not–for–profit community enterprise by the Friends of Ellington Park. All profits will be re-invested in the park, employing a community gardener and continuing community activities and events after the funding period is finished. The proposed building will also be used as an education space in the day time and community events space in the evenings. 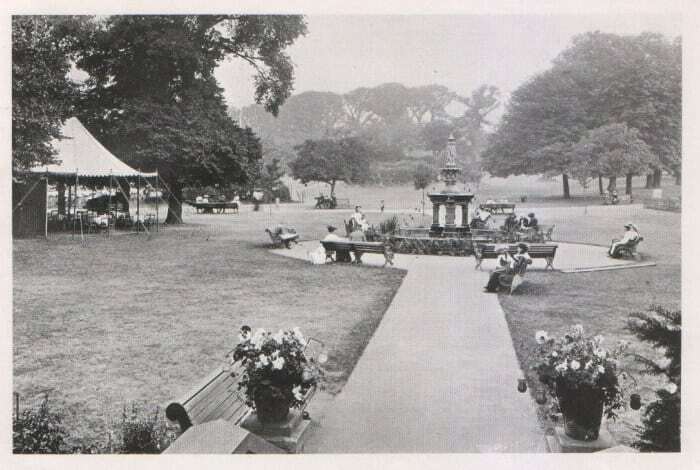 It will be on the terrace overlooking the park, in the same location as the original rustic bandstand. The 100sq metre café building will have 36 seats inside and 24 seats on the external terrace and 3 unisex toilets, with accessible WC and baby change. There will also be new benches, the promenade will be widened and an outdoor seating area created. There will also be a new public square for market stalls and a petanque area, for the use of more than 90,000 visitors per year. Cllr Jason Savage, Deputy Leader Thanet District Council said: “We are delighted to hear that our application to the Heritage Lottery Fund has been successful. When we submitted our bid we were very hopeful for a positive outcome. “This funding is a very significant sum and ensures that we can make great strides on the path to fulfilling the vision for Ellington Park. With the community and ideas that have been put forward, we can be confident that our plans are a genuine reflection of the input received through consultation. The work by Canterbury-based Clague Architects, led by Gareth Leggeat, Associate, was instrumental in securing planning consent for the regeneration of Ellington Park. There will be further announcements as the project starts progressing during 2019. It is expected to take two years to complete. What brilliant news! Well done to all those concerned. Especially the friends of Ellington park who work tirelessly. Absolutely Fantastic. I remember it from 1956 when I used to walk through it on my way to and from school. Lets just hope that it doesn’t get vandalised by some of the mindless youth and some idiotic adults. Lets just hope that the contract is put out to tender with sensible people who have a knowledge of construction etc scrutinising each tender. Please don’t leave the decision to a person who is lets say a carpet fitter. Please also make sure it is a fixed price contract with a penalty clause for late delivery plus a year rectification clause. Amazing News. Well done to all involved – you hard work is very much appreciated by all that use the park. Congratulations ! Very well done. So proud to live here. Fantastic places and people. The proposed building looks totally out of keeping – building and maintaining these facilities will inevitably lead to lots of motor traffic aroun the park. All of this will seriously impact on the wild life. Reapair the lovely old shelter and stop drstroyin what was once a most beautiful park.